The episode was rehearsed and taped during the week of May 27, 2013. It is episode number 15 in Season 1 and it is entitled "#dollsitting." Tom joined Sardi's Thursday regular, Mark Nadler. After Tom's performance in Annie Get Your Gun, and before the Broadway midnight bowling league, Tom dropped by to sing a couple songs. Sardi's is located in the very heart of the theater district, at the foot of Shubert Alley at 234 West 44th Street. Sardi's has begun a series of cabaret shows that feature the best in NYC Jazz and Cabaret. Go for the show - and go for the ambiance. After a few years rest, Scare Tactics is back with its new host Tracy Morgan. This hidden camera show on steroids aims at taking its "Mark" to the most fearful situation that they ever have or will experience in their life. (a "Mark" is the person being set up by their friend to be on the show). In total, Tom was in about 14 episodes of Scare Tactics . The segments below are listed with their original air dates (if available). Many of the segments aired in additional episodes with a different "Mark." -- Tom plays the role of a doctor in a segment with ECW World Champion Matt Hardy! More details to come after the airing of the segment. This segment was taped on October 15, 2008. -- More details to come after the airing of the segment. This segment was taped on October 7, 2008. -- This one is sure to be a classic! Do not miss this segment. More details to come after the airing of the segment.. This segment was taped on October 4, 2008. -- Tom plays the husband of a U.S. Congresswoman. They are off to the mayor's annual gala and they leave their young daughter with a baby sitter. Unfortunately for the sitter, the house has been staked out by a very angry constituent of the Congresswoman. To settle the score he tries to kidnap their cute little girl. The "Mark" in this segment should get a medal for heroism. This segment was taped on April 10, 2008. -- Tom plays an FBI agent who busts a mad scientist's innocent courier during a sting operation. The courier has a briefcase handcuffed to his wrist. He thinks it contains money -- but money usually doesn't make a ticking sound! The situation is bound to get explosive. This segment was taped on March 11, 2008. -- Tom plays a millionaire who is throwing a "divorce party." Then his soon-to-be ex-wife shows up and spoils all of the fun. This segment was taped on January 26, 2008. -- Tom plays the president of a "Stepford Wive-ish" homeowner's association. They are really nice people -- that is until they insist you eat the pie. The episode title is "Psycho in a Box." "Welcome to the Neighborhood" is the 3rd segment in this episode. This segment was taped on February 26, 2008. -- Tom plays a technician working with advanced brain reading technology. He places a head piece with many electrical receptors on a psychic's head, another on an actor's head, and yet another the "Mark's" head. Things get a little creepy when the psychic makes the actor's head explode! The episode title is "Satan's Baby." "Scanners" was the 3rd segment in this episode. This segment was taped on March 15, 2008. Tom is back as the Fellowship Director at County Hospital. This episode is also known as the "Bank Farter" episode. Fun times. Tom's scene was filmed on September 6. The episode is entitled "My Rite of Passage" and is episode number 502. Tom plays the role of the Fellowship Director at a County Hospital. He makes Dr. Elliot Reid's (Sarah Chalke) life a little unpleasant. Tom's scene was filmed on September 2. The episode is entitled "My Intern's Eyes" and is episode number 501. Tom plays the role of a DEA Agent Grossman on the season finale of this Golden Globe Award winning FX drama. Agent Grossman does a "soft" interrogation of an informant, Anthony Anderson. Observing the interrogation in another room is Glenn Close. Tom's scene was filmed on May 19. The episode is entitled "Ain't That A Shame" and is episode number 413. Tom has had the fortune to play Captain Georg von Trapp twice. It remains, today, one of his favorite roles. Click here to see pictures of Tom as the good Captain. 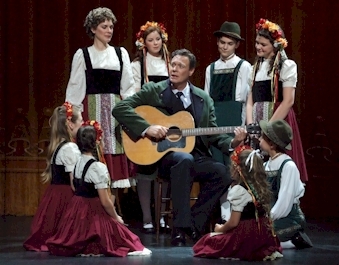 The Cabrillo Music Theatre's production of The Sound of Music marked the first time Tom played the role of Captain Georg von Trapp. Arguably one of theater's most beloved musicals The Sound of Music was sadly the final collaboration between Rodgers & Hammerstein. In the production, the role of Maria was beautifully played by Shannon Warne. "Schmid is a revelation, adding a totally different dimension to the Captain. He is obviously in pain due to the death of his wife, but instead of hiding this by reverting back to the militaristic personality of a naval officer, his is an existence of sadness, which makes his transformation into a warm and caring parent (thanks to Maria) not as abrupt as in the film." "Schmid, whose performance captures all of the Captain’s complex mixture of coldness, repressed pain, military bearing, and fatherly adoration, and whose golden pipes make his Captain von Trapp one of the best sung ever." "Shannon Warne ... and Tom Schmid ... when the pair sings, separately or together, the Rodgers & Hammerstein magic shines." "Schmid portrays the baron in his traditional reserve, gradually dissolving into fondness for the new governess, and proves himself one of the best singers to tackle the role, with a fine voice that can be strong or gentle, making his key song, "Edelweiss," all the more compelling." The 3-D Theatricals production of The Sound of Music marks Tom's second crack at the role of Captain Georg von Trapp. Arguably one of theater's most beloved musicals The Sound of Music was sadly the final collaboration between Rodgers & Hammerstein. In this production, the role of Maria was played by Kim Huber. Tom first played the role of Captain von Trapp for Cabrillo Music Theatre in July of 2011. "About Schmid’s performance as Captain von Trapp in last year’s Cabrillo Music Theatre revival, I wrote that he “captures all of the Captain’s complex mixture of coldness, repressed pain, military bearing, and fatherly adoration” and that his “golden pipes make his Captain von Trapp one of the best sung ever.” Ditto the second time around, in a performance that has only gotten richer over the passing months"
"...lead performances as fabulous as those given by Kim Huber and Tom Schmid"
Tom plays the role of "Boss" who is the owner of a storage rental facility where Jeremy Renner's character, Saul Gregorm, works. The movie also stars Minnie Driver. Tom filmed his scene on June 12, 2006. 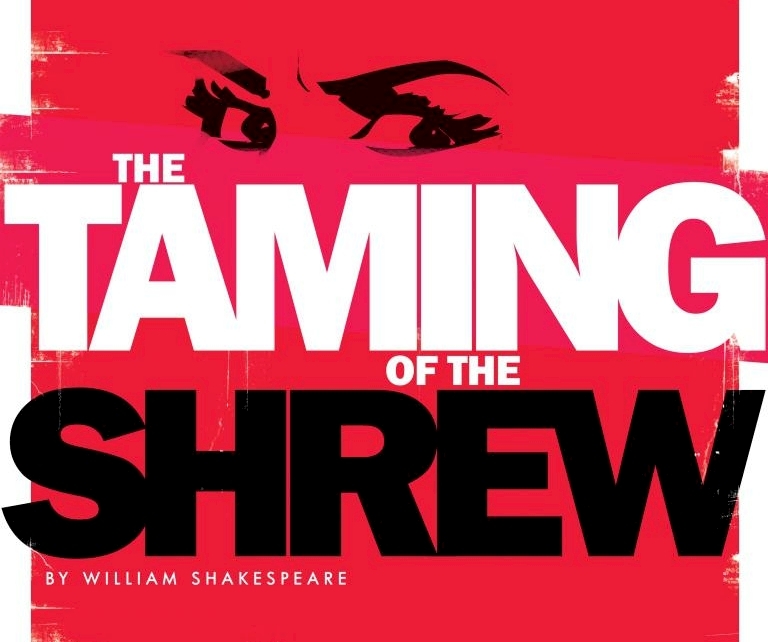 Tom Played the role of Petruchio in the 1988 production of William Shakepeare's The Taming of the Shrew at Theatre in the Round in the Minneapolis Seven-Corners Theatre District. Tight Quarters the Musical is the hilarious and romantic adventure of a plastic surgeon and a butterfly catcher as they cruise down the Amazon river with a trio of international jewel thieves, a kleptomaniac and a super cool captain of the ship. The story will keep you smiling and the music will keep you humming long after the play is over. In the March 2, 2006 edition of Backstage West, Tom received a Garland Award Honorable Mention for his performance in Tight Quarters . "...strong-voiced, appealing Godt and Schmid..."
"Some slick pros, including director Jules Aaron, choreographer Kay Cole, and leads Tom Schmid and Heidi Godt..."
"The sparkle and chemistry of the leads, Heidi Godt and Tom Schmid, are too bright to be diminished..."
"Schmid nicely navigates playing father to two precocious children ... as well as the duties of being the nerdy but hot romantic interest." "Heidi Godt and Tom Schmid are a joy to watch! Both [are] wonderful singer/actors and loveable as a duo, they work together well." "Sure to delight audiences of all ages." "A hilarious journey down the Amazon." Tom played the role of William Murdoch -- the First Officer of the Titanic. As this character, Tom sang the solo entitled To be a Captain. Mr. Murdoch was the ranking officer on the bridge when the ship hit the iceberg. Titanic is a powerful musical of the most historic sea voyage of the century. For the first time on Long Island, the 1997 Tony Award winning Best Musical offers us a beautiful Maury Yeston (Phantom) score, underlying the tragedy of all aboard that fateful trip on the world's greatest ocean-liner, once considered "unsinkable." From the breathtaking departure to the first warning, to the harrowing end, the stiry lives on in an exquisite production to behold. This show was the inaugural performance at the newly restored Patchogue Theatre. "Among those to be commended are ... Tom Schmid as First Officer Murdoch"
"So fine is the cast assembled ... and molded." "Tommy" was produced at the Ricardo Montalbán Theatre in Hollywood for a total of 13 performances which included one benefit performance for Elevate Hope (EHF) which is dedicated to providing abused and abandoned children alternative therapy through music and the arts. The Who's Tommy is one of the most phenomenal works of the rock era. Originally released as a two-record set in 1969, and composed by Pete Townshend, with songs contributed by Who bassist John Entwistle and drummer Keith Moon, it was the work that started a new genre - the rock opera. Since its first release, it has been continuously performed live, including the tremendously successful Broadway staging in 1993. Tommy was inspired by and written to convey the experience of how Townsend felt after being taught by Meher Baba, a Persian man born in India who became a spiritual master and teacher and anti-drug advocate, and other writings and expressing the enlightenment he believes he received. It is a metaphorical story of different states of consciousness. Purcell said "I want to return the work to this base - and to strip down this work and return it back to the sensibility and the message of the original album from 1969 - raising awareness of the spirit." The production will introduce high definition 3-D Sound, presented by EXP3D, a new audio system that does for sound what 3-D and its lenses does for motion pictures. The sound will inhabit a fully dimensional space, inside and outside each guest's body. Each guest will have a headset to wear, the equivalent of movie 3-D glasses for this production. Unlike conventional headphone experience, where the soundscape is a straight line between the wearer's ears, EXP3D sound gives the listener a fully dimensional room of sound with height, width, and depth. Tommy director Brian Purcell said, "EXP3D is the best sound you'll ever see. It allows us to do Tommy in an entirely new way - and for the first time the audience will truly be inside Tommy's head as he experiences the events of the play. Purcell said, "While most of the sound will be heard in the headphones, we will also employ theatrical sound you really can feel, just like in state-of-the-art movie theatres, that can only be delivered through conventional speakers. The speakers will also carry all of the sound of the show, so that audience members who are headphone adverse have a complete experience." This groundbreaking theatrical event will also be the first time Tommy has been seen in Los Angeles in a decade. "Alice Ripley and Tom Schmid are very good as Tommy's parents." "Tom Schmid as Captain Walker is an excellent foil for Ripley, particularly in their beautiful duets." "Ripley and Schmid are likewise prodigious vocalists and deliver strong characterizations as the wayward parents." "Schmid, who has a lovely tenor voice, transmits tangible pathos for the son whose soul is locked away deep inside." "Tom Schmid sings beautifully as Tommy’s father." Unfortunately, Vanished has been cancelled. Tom is back for another episode of Vanished. This time Pilot Wayne Blake is going by the name of Mr. Crane. And oh...is he up to no good. In a flashback, Mr. Crane is administering some attitude adjustment therapy, with an electro shock machine, on Sara. Oddly, he seems to be enjoying himself. Tom's scenes were filmed on October 18. The episode is entitled "The Velocity of Sara". Including the pilot it is the 12th episode to air this season, so some sites are listing it as episode number 112. The script however does not count the pilot episode as number one so it has it listed as episode number 111. Tom plays the role of Wayne Blake, the pilot of a charter jet, who shuttles Senator Collins (John Allen Nelson) from one city to another city. Because of the highly secretive nature of this show we can't divulge any additional information. Not even a hint. Aw, shucks. But, it will be good. Tom is in 5 scenes during the episode. Tom's scenes were filmed on September 6. The episode is entitled "Aftermath". Including the pilot it is the 8th episode to air this season, so some sites are listing it as episode number 108. The script however does not count the pilot episode as number one so it has it listed as episode number 107. Nevertheless, the title of the episode, "Aftermath," remains constant. Tom plays the role of a News Reporter in this HBO Film. Edward James Olmos directs this drama that tells the true but little-known story of a group of Chicano students who staged a compelling 1968 walkout to protest the injustices of the public high-school system in East Los Angeles. Starring Alexa Vega as Paula Crisostomo, an idealistic honor student who refuses to "play it safe" in a school system that clearly discriminates against Chicanos, instead banding with a group of activists to coordinate a multi- school walkout of students. Mentored by her charismatic teacher Sal Castro (Michael Peña), Paula learns that sometimes the price for progress is high -- but it's ultimately worth paying. Other notables in this film are Bodie Olmos and Tim DeKay. b. "Dear lord, the porta-potty is overflowing!" c.	"Whew…Alright, who ate the beans for lunch?" d.	"Ah heck, I can hock a lugie farther than that. Watch this…"
"Gotta go, gotta go, gotta go right now." "Steve!...can we move the camera down wind a little? The BO is killin' me!"" PENA: "I can't pay the rent"
TOM: "You Must Pay the Rent"
Tom's scenes were filmed on July 23 and 24, 2005. Conceived by, and starring, Gary Vaynerchuk, Wine Library TV quickly became one of the most watched daily video podcasts on the Internet. Vaynerchuk's no nonsense and sometimes brash candor about wines and the wine industry struck a chord with wine neophytes and connoisseurs alike. A fan of the show, himself, Tom decided to send in his own video introduction. Unlike the other fan intros, Tom created the character of Lars, a die hard Northern Minnesota Vikings fan, who watched WLTV from his remote cabin in the woods. Playing off Vaynerchuk’s often referred to love for his New York Jets, Lars played a foil to Vaynerchuk by unashamedly promising a “Vikes” victory every time they played the Jets. Lars also included his own wine tasting, of sorts in his intros. Vaynerchuk, and the show’s fans, were delighted with Lars, however, they also were not certain if Lars was a real person or just a character. Lars returned to do a total of four intros for the show. Wanna see them? Just click on the links below in the each of the show’s descriptions. Back again, but this time with his co-host Big Ole, played by Tom’s one year-old son, Oliver. Big Ole picks out the “wine” for this one, milk, and steals the show. It’s hard to take your eyes off of Big Ole and some don’t even remember if Lars was in the episode. Lars responds to the Vikings loss. But don't tell him that they didn't win the game. Tom did the introduction as Lars, an insufferable Minnesota Vikings fan, for Wine Library TV's (WLTV) Episode #148. WLTV is an informative and entertaining video blog about -- what else -- wine. The host, Gary Vaynerchuk is a huge Jets fan, and they are playing Tom's beloved Vikings on the 17th. Tom is hooked on Gary's video blog, so he made a funny little introduction for the show that precedes the "big game." In this episode, Gary shows you how to develop a flavor profile for your palette so that you can identify the various tastes in a wine. It's informative, candid, sincere, and hilarious. The section where Gary migrates over to the sofa is a "do not miss." April 14, 2004 on CBS: Tom played the role of a reporter. The episode tapes next week. More details to follow. Tom was up to no good in a scene involving Victor Newman and Victor's blind, farmer, from Kansas, ex-wife, Hope Adams Newman Wilson. He was hired by LeAnna Love, another of Victor's ex-wives, to video tape Victor in some precarious situations. Tom's character caught Victor and Hope in a dinner and recorded them with his "stealthy" briefcase video camera.